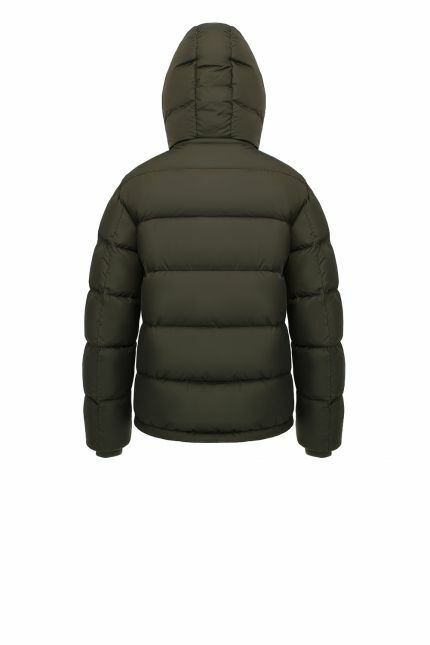 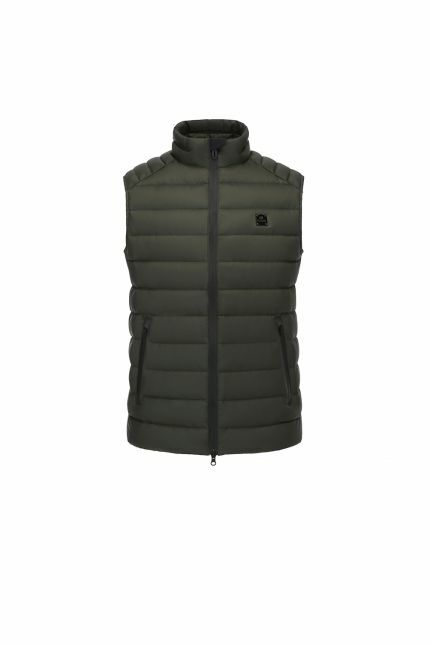 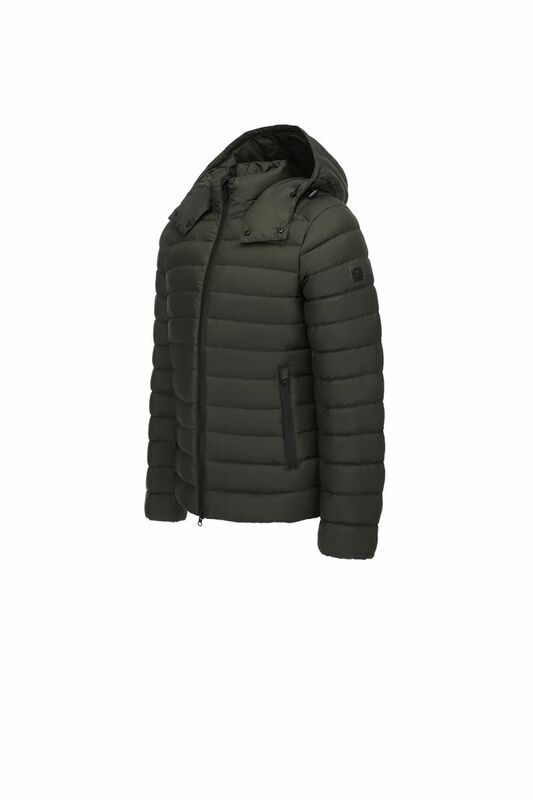 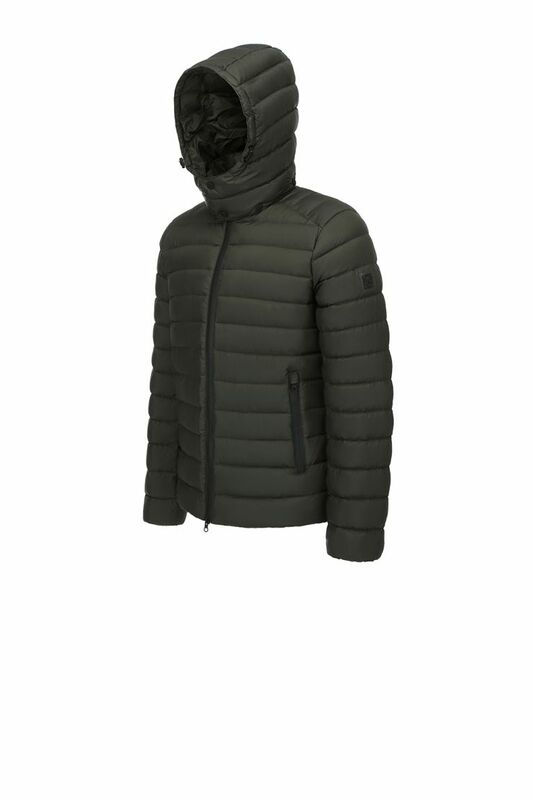 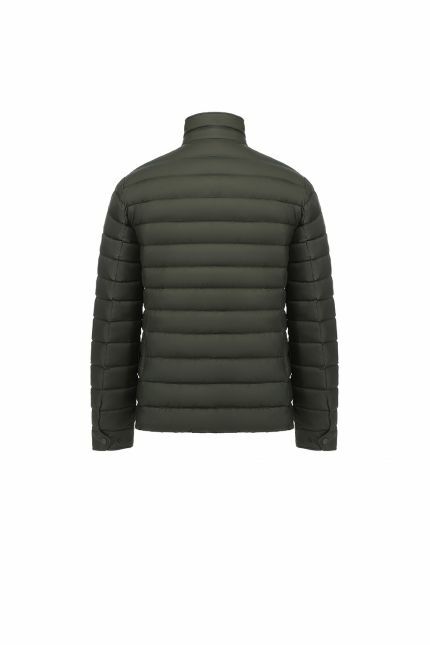 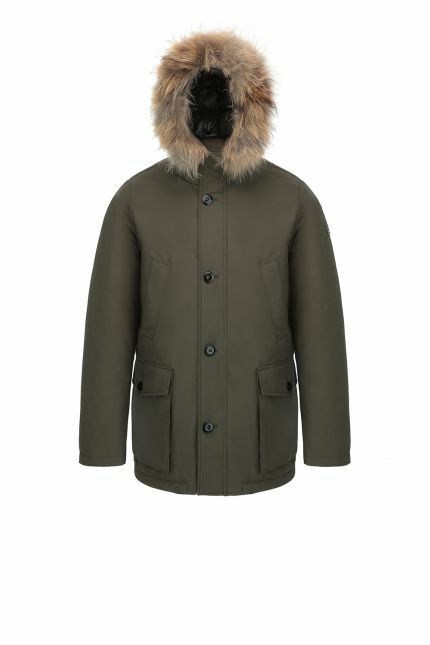 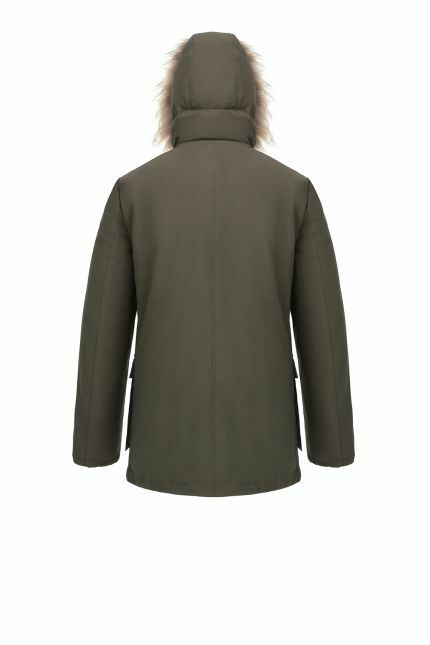 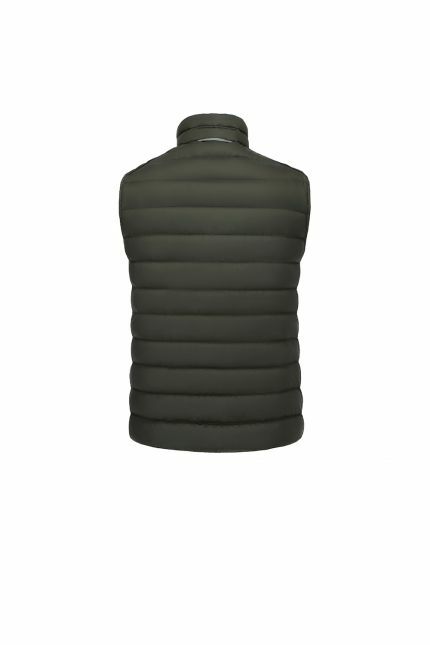 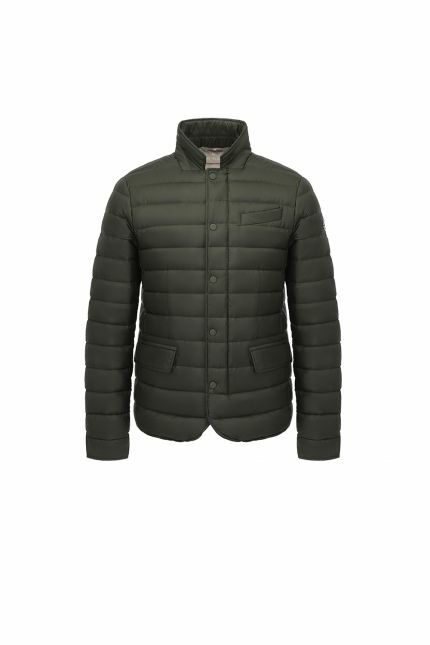 Hetregó Basil military green down jacket is perfect for mild winter days and fall evenings and thanks to its lightweight, you can always bring it with you. Customize the hood fit through the drawcords and remove the detachable hood if it is not necessary. 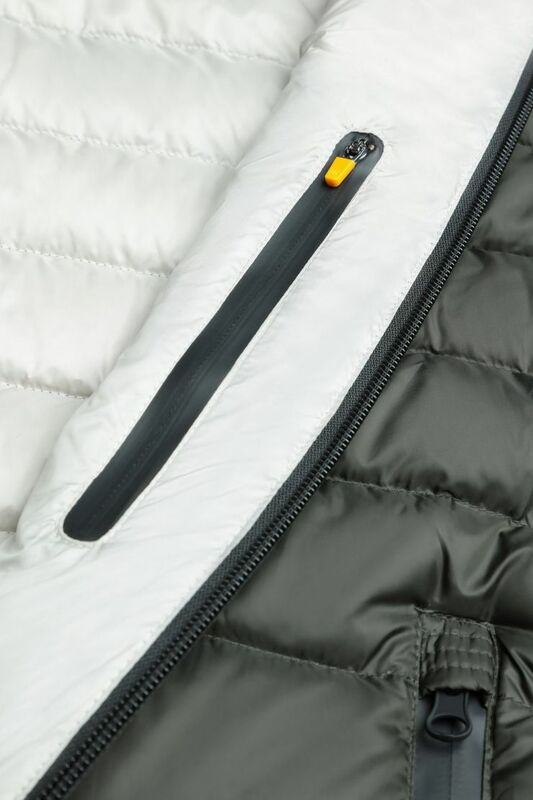 Store easily your items on side zipped pockets or keep them on the inner left or on the zipped security pocket. Wear the hood to make the hanger reflective loop visibile at night. 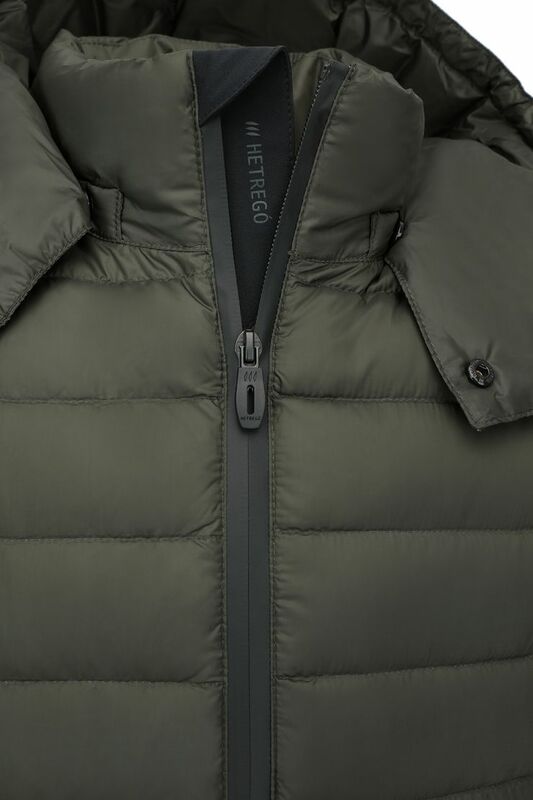 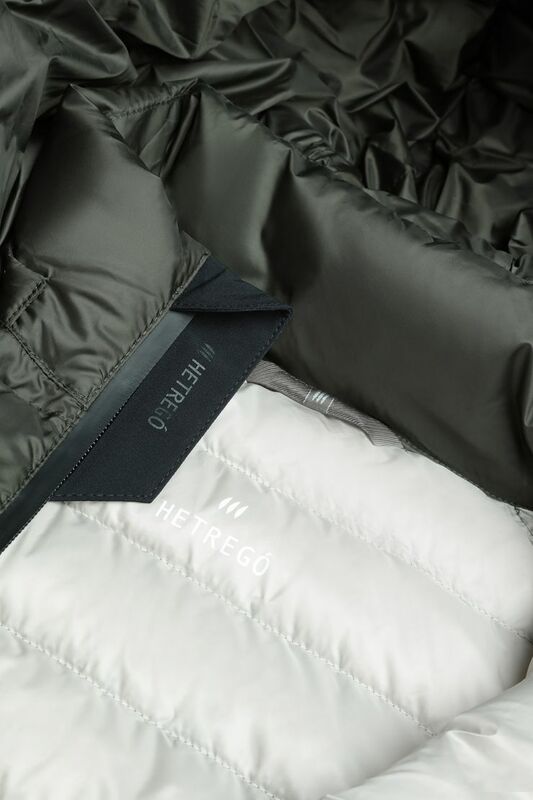 Windproof and water repellent, Basil is a must-have jacket filled in goose down with contrasting chalk lining and black under zip flap with logo.